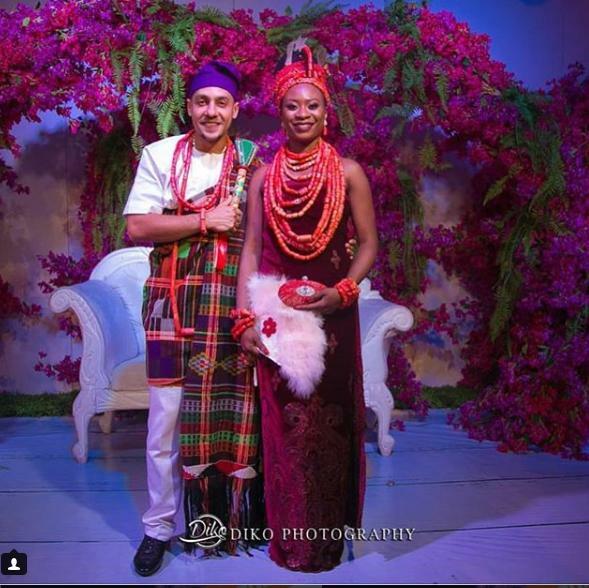 DJ Sose is officially off the market. 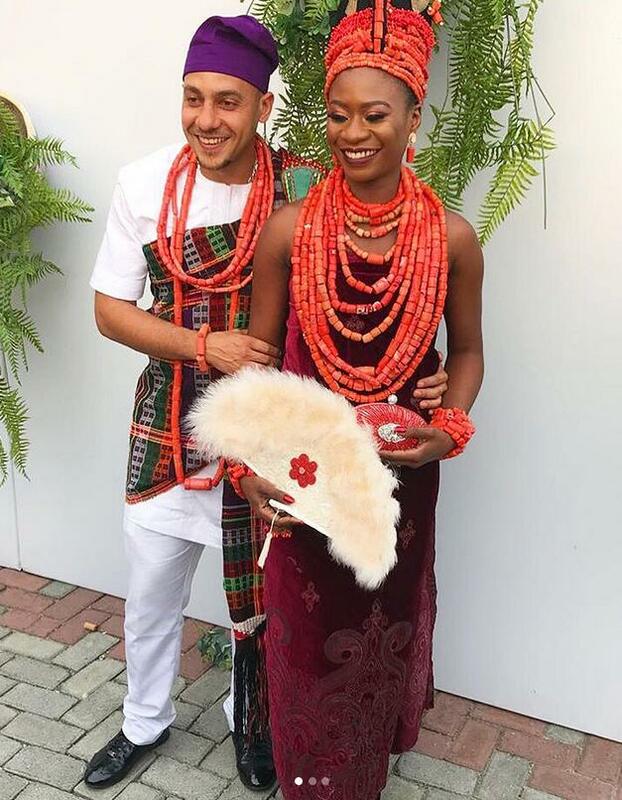 He had his traditional wedding two days ago and his church wedding today May 5th. Congrats to him. 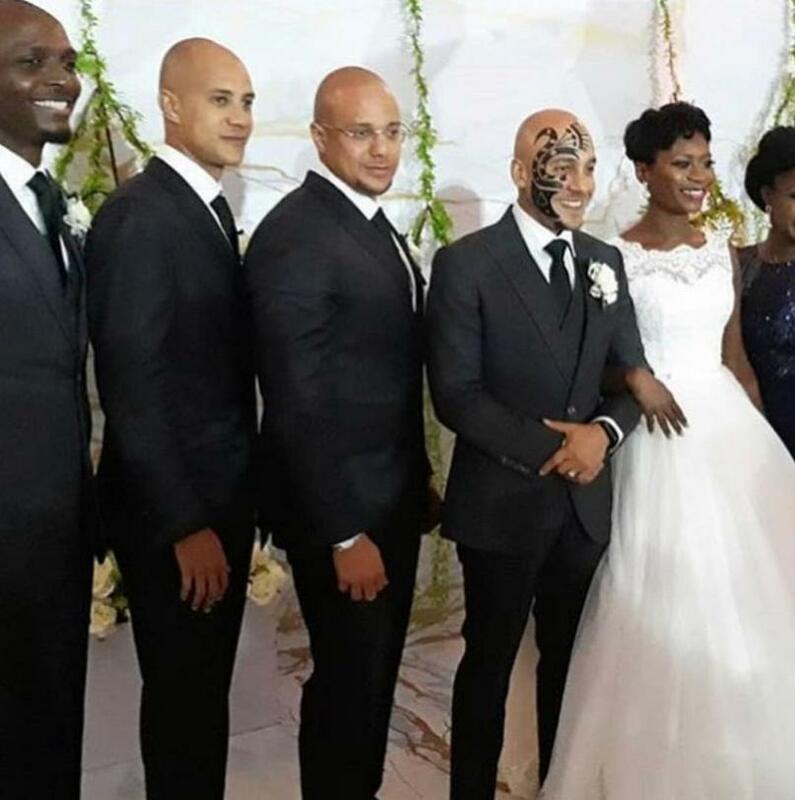 One of the highlights of the wedding, was the removal of DJ Sose’s trademark face tattoo for his traditional marriage, which however appeared at his white wedding with his heartthrob. 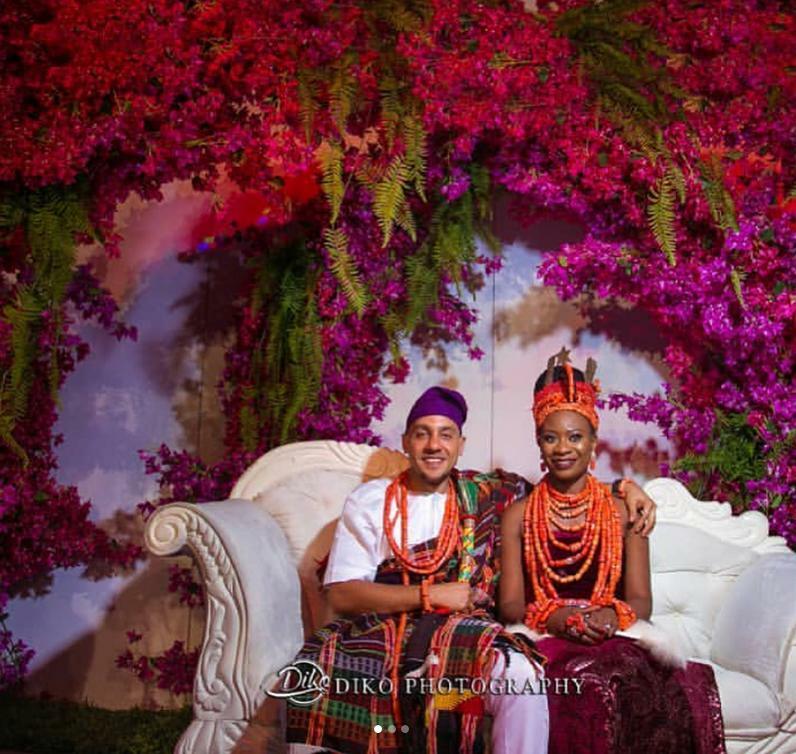 Here are photos from the wedding which was attended by IK Osakioduwa, his brothers and many more Nigerian celebrities. Thomas Amar-Aigbe a.k.a DJ Sose is from a musically gifted family from Edo state, and was born in Ibadan Nigeria by a Hungarian Mother. 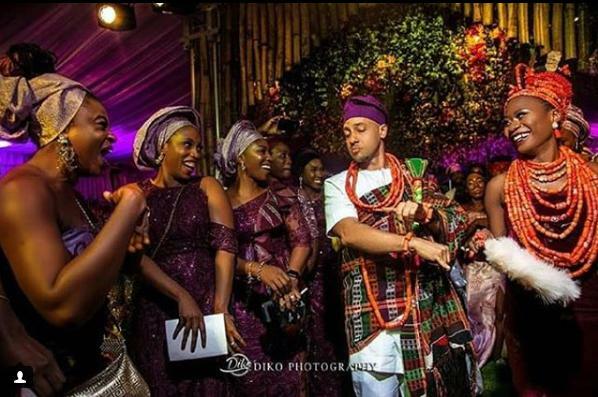 In a previous interview, DJ Sose said “the origin of my stage name Dj ‘Sose’ short for ‘Soseneyayi’ is Esan from my tribe in Edo State Nigeria”. He however added that Sose which means ‘Bear Witness’, was a name given to him by his father. Many people have always wanted to know the reason he opted to draw a tattoo on his face, some had related it that it may be demonic or occultism but the disc jockey has given his own reason. Sose however revealed that the tattoo is for branding sake, so he can be easily pointed out from the crowd. The second reason he stated was because we only have one life to live, so he had to do what he felt will be unique for his own personal self. 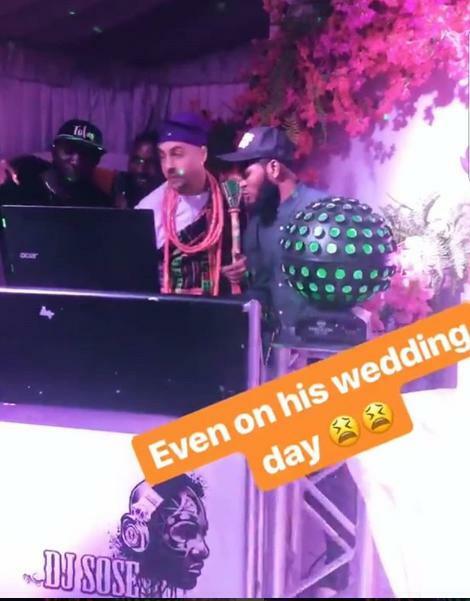 Many artiste and DJ have their own personal way of being identified, but that of DJ Sose is unique as he is the only Nigerian DJ with such. The tattoo has made him popular, apart from his work. Sose worked as an IT personnel which he abandoned to concentrate fully in DJing, he said that being a DJ has always been his passion. DJ Sose is rated one of the top 10 African DJs by Channel 0 and also a 3 time Nominee of the Nigerian Entertainment Awards.